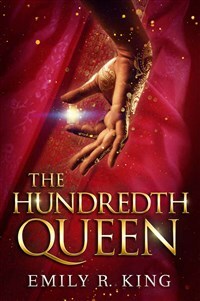 Emily R. King is a writer of fantasy and the author of The Hundredth Queen Series and Before the Broken Star, the first book in The Evermore Chronicles. Born in Canada and raised in the United States, she is a shark advocate, a consumer of gummy bears, and an islander at heart, but her greatest interests are her four children. Emily lives in northern Utah with her family and their cantankerous cat. Visit her at www.emilyrking.com.